Decleor Lift and Firm Day Cream - Dry Skin is a new anti-ageing moisturiser that acts to help rejuvenate skin, acting on all dimensions of firmness to boost, protect, prolong and add radiance to skin. 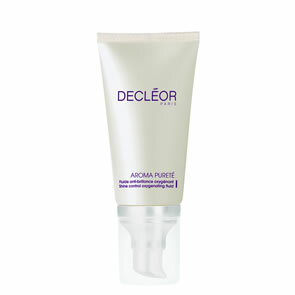 Free from mineral oils and colouring agents, this creamy, pearly mousturiser sits comfortably on the skin. Key active ingredients include L-PROLINE complex to help reactivate the skins firmness, Iris Essential Oil to boost the skins elasticity, high and low molecular weight Hyaluronic acids to fill in wrinkles on the surface and deeper down, white sage to help stimulate the cell's defence proteins, botanical tensing agent to tighten and smooth the skin, oleo 15 to deliver extra comfort to dry skin and light-reflecting particles to add instant radiance to the skin. This moisturiser leaves skin firm and luminous with contours lifted, wrinkles visibly diminished and skin feels comfortable and hydrated. Also available in a normal texture. 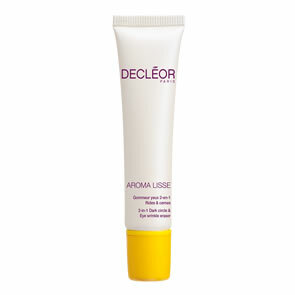 After cleansing and toning, apply AROMESSENCE™ Iris Super Serum and then your moisturiser to face and neck.